With hectic lives, busy routines and lack of time to dedicate to anything outside of work and home, fitness can take a beating. 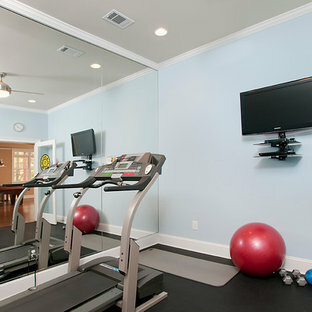 So, if there it’s a small nook or an entire room, homeowners are starting to make home gyms a priority. The home gym is a worthwhile investment helping you maintain a healthy lifestyle. 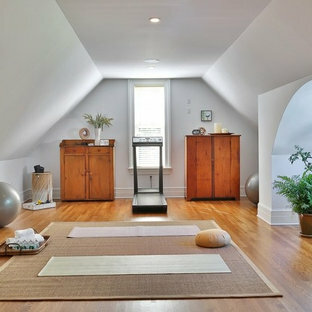 Home gym ideas don’t necessarily have to involve many types of equipment, it can be a space dedicated to yoga or any other routine. 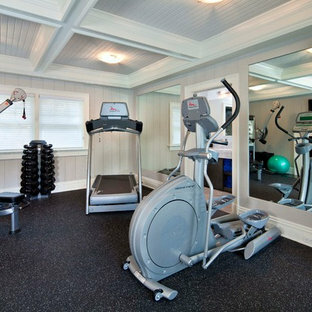 Explore various home gyms to get ideas on designing one that fits your workout routine perfectly. 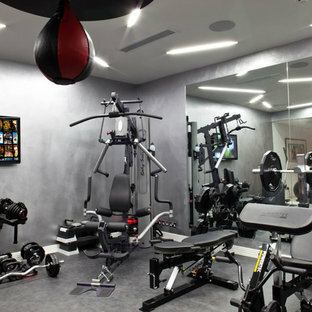 The layout, design and equipment in your gym at home must complement your lifestyle. If you or any of your family members are into fitness then think about investing in home gym equipment like exercise bikes, treadmills, and heavy weights. 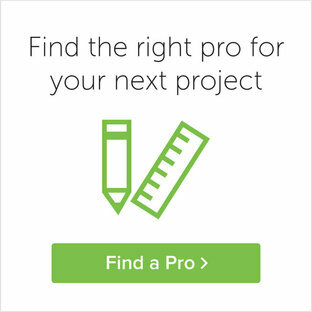 You can also install a wood floor, mirrored walls, and stereo system or TV. If you want to use the space for other activities like Yoga, aerobics, pilates, kickboxing, dancing, cardio and other activities then think carefully before planning the equipment for your home gym. Other fitness activities will require space so don't clutter the space. 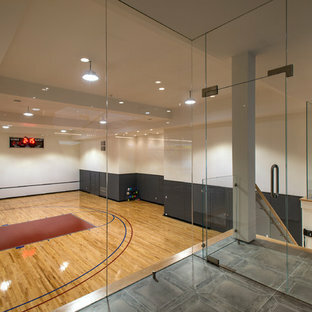 If there's a specific workout you enjoy, create a specialty space with the necessary accoutrements. Thoroughly research your preferred activity and find out what you need to create a space that will provide everything you require to comfortably exercise at home. How do I create a double-duty home gym? 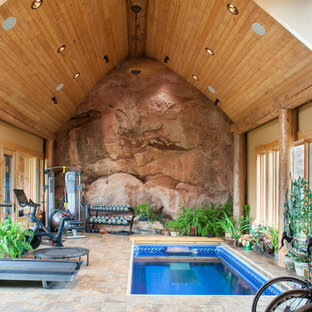 If you can’t find a dedicated room or nook to fit your home gym, don’t worry you can create a double duty home gym. 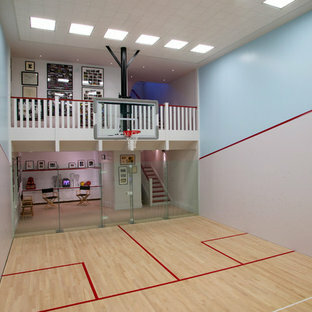 Gym and home office combos are very popular, as are guest bedroom, balcony or garage hybrids. Think carefully when considering double-duty home gym, check the lighting, ventilation, temperature and electric supply before you make start planning the layout. Also, understand the practical and functional aspects of both rooms, for example, placing workout equipment in a bedroom might be a challenge if your sleep/exercise times clash, while a very well insulated balcony might be way too hot in the summer. What kind of equipment do I need in my home gym? 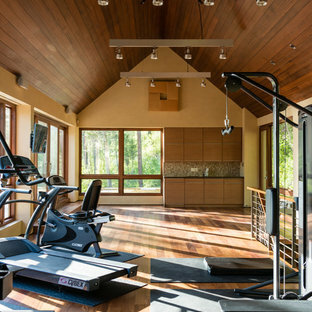 Your home gym equipment selections should be dictated by what you enjoy doing most. Yoga mats and freestanding weights are always solid purchases, or you can splurge by investing in larger, more expensive equipment, like an elliptical, treadmill or multi-functional home gym system. Don't forget about all the little extras — sound systems and wall-mounted TVs can help get you in the zone and mirrors to help you keep your form. 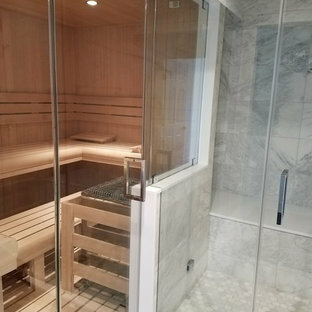 Ocean Sprat Hot Tubs and Saunas custom design and installation of Finnleo Finnish Sauna on Long Island, NY.